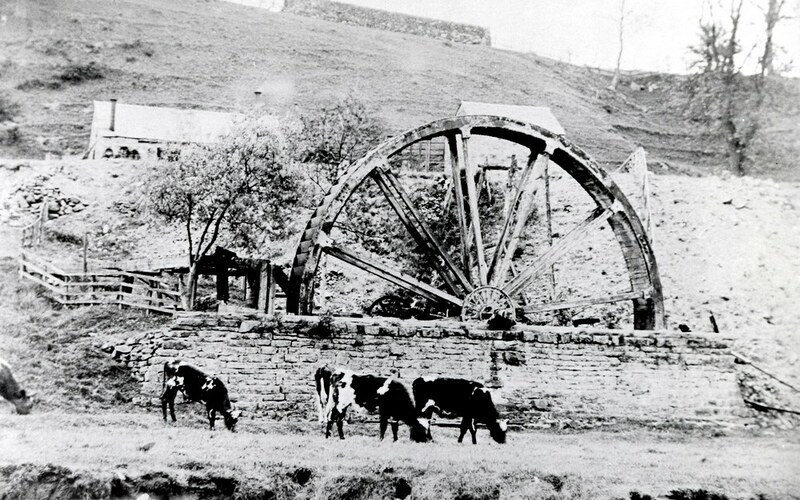 To speed up excavation in Hebden Horse Level, the Hebden Mining Company employed compressed air drills which were powered by a 36 foot diameter waterwheel. Unfortunately, this impressive structure was dismantled some time between about 1905 and 1925, and the only obvious remnant is what remains of the back wall of the wheelpit below Smithy Hill. Inspection of the available photographs indicate that the framework of the waterwheel was made of wood, and that it began life as a breastshot wheel with a supporting frame of 12 sets of arms, and a 3 foot face with 108 buckets, but was later converted to an overshot wheel. It was originally powered using water extracted from the small beck running down the bank to the north. The water was channelled along a leat following the contours of the hill, to a storage pond built at the back of Smithy Hill, and then fed through an underground conduit to a small wooden flume. The remains of this small structure may be seen in the early postcards of the waterwheel as shown on the left. This set-up couldn't have been very efficient as the water entered the wheel at about nine o'clock. Later, however, a more reliable source of water was tapped when the level broke through into what was probably the Middle Limestone of the Yoredale Series, and intercepted an underground stream. 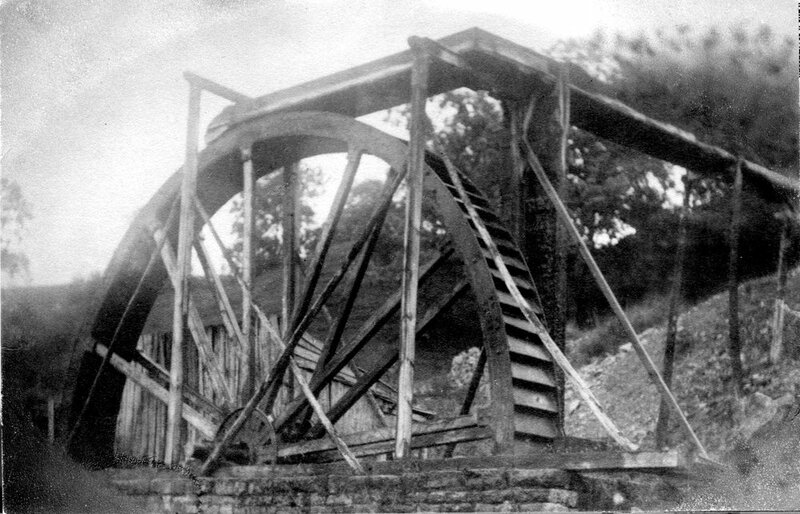 The water drained out of the entrance, and it was then carried across to the top of the waterwheel in an impressive wooden flume to feed the wheel at about 11 o'clock - hence almost doubling the head. 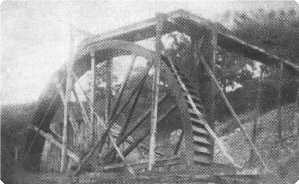 One report has it that the flume was some 60 cm wide, and water flowed to a depth of some 30 cm "enough to drive the wheel and never varying". The remains of the flume and its supports may be clearly seen in the photographs taken around 1900. Looking at the photograph on the left, a timber spa can be seen lying on the ground. Much of the line of the underground tailrace from the wheel pit has been buried under the spoil from the level, but it follows a direct line from the wheel pit for 60 m, and emerges about 10 metres from Hebden Beck from a small stone-lined conduit. The following photographs and diagrams are available on other pages.